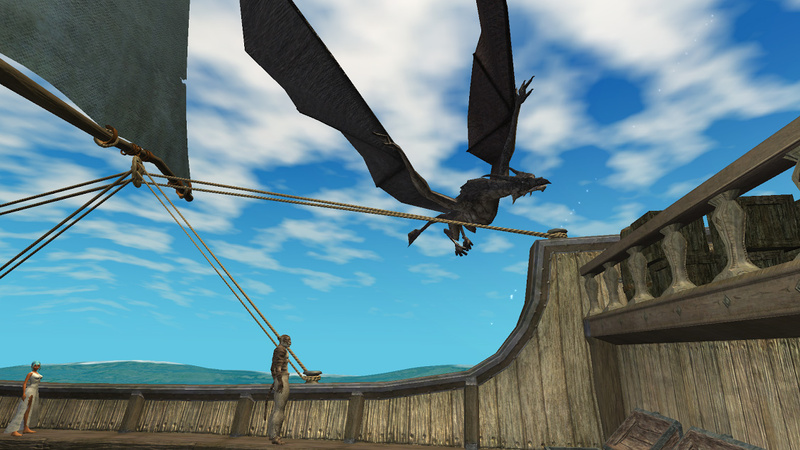 EQ2Wire » Interview With Kander: Time-Locked Expansion Servers! Interview With Kander: Time-Locked Expansion Servers! EQ2 Lead Designer Kyle “Kander” Vallee took a few moments away from watching players gallivant around the resurrected Queen’s Colony and Outpost of the Overlord newbie zones to grant us an interview about today’s exciting launch of two new Time-Locked Expansion servers Stormhold (PvE) and Deathtoll (PvP)! EQ2Wire: How long have you been working on the Time-Locked Expansion servers? Q: What role did the success of EverQuest’s own TLE servers have in opening the door for these servers in EQ2? K: We realized a lot of players are looking for a familiar experience and enjoy the excitement of a new environment, energy, and community dynamics. Q: What’s the difference between a Progression server and a Time-Locked Expansion server? K: On a Progression server, players have to accomplish certain goals and kill certain targets before content/expansions unlock. 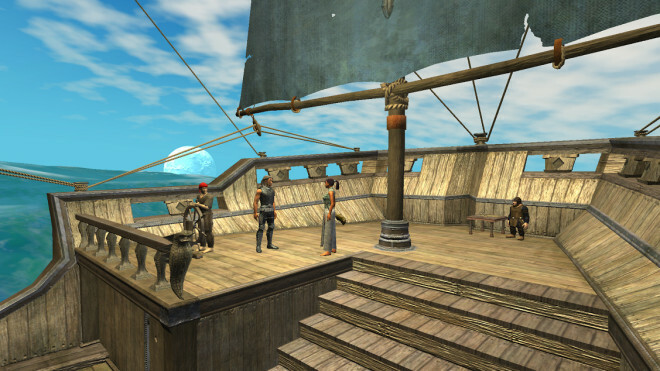 In EQ2, a Time-Locked Expansion server means the players will vote on when the next expansion unlocks without a requirement to beat certain targets or encounters. Q: Can you give a rundown of what was changed between the Live servers and the TLE servers? K: We’ve adjusted coin, experience, a lot of features were disabled and tied to the corresponding expansions. Those features that were not linked to expansions were added to the closest expansion or the appropriate one. PvP has a lot more changes than their live server does, it doesn’t have appearance items and a few other things. So I never got to play the original Isle of Refuge which started on the Far Journey boat being tossed about the ocean in a violent storm and which puts the player face-to-face in a hair-raising encounter with a drakota. However what I liked about the Queen’s Colony/Outpost of the Overlord version of the starting island is the story drawing me in, and that you couldn’t really get lost. As a first-time player, there were lessons I needed to learn and the island(s) guided me through that. Then once I stepped off the island and did the quests in my home city, I was then turned loose into Antonica or the Commonlands and that’s when the world opened up and I had to look under rocks to find things. Q: How much archaeology was required to bring back the Isle of Refuge (Queen’s Colony and Outpost of the Overlord) and more surprisingly the Far Journey boat trip? K: We were very fortunate that once we started looking at the files, we found most of the pieces for the starting islands and boat. We had to recreate some of the tasks but otherwise we were able to get it back up and running and that’s when the team got really excited about what we could do with these servers. Q: What do you think it is about the Isle of Refuge that leads to its continued popularity and rabid following despite being out of the game for nearly five years now? Is it all just nostalgia? K: It is the first thing you remember. If you love EverQuest II like we do, it’s the first thing you remember remembering. Its very nostaligic. For those who have played for years and years, it’s the birthplace for many of their favorite characters. Q: If you can share this information, what are the most popular newbie zones? Do you think the Isle of Refuge will be a flash in the pan or will people choose it for their second, third, and fourth characters on the TLE servers? K: Frostfang Sea and Darklight Woods are by far the most popular. But I believe once the Isle of Refuge is live on all servers [coming soon], that will be hands down the most popular. Q: A lot of people have asked what happened to the “code” for the earlier versions of EQ2, or specifically the older versions of Zones, NPCs, Quests, Items, etc. as they were near the launch of the game. We’ve had several item, quest, and zone revamps, as well as the removal of quests that were outdated, referring to events that were no longer up-to-date. Are there any backups of these quests, items, zones as they were way-back-when? Are you guys keeping backups of everything now in case some day players want to experience the nostalgia of playing EQ2 as it was way back in 2015? K: There are just so many things that were changed rather than replaced, there really isn’t any chance we will ever be able to give players the exact copy of the original experience. At least not in any time that we would be able to spend. Q: Allowing a third faction or non-faction (depending who you ask) of Exiles on the TLE PvP server really touched a nerve with players. As a result, you’ve announced that there will possibly be another TLE PvP server called “Fallen Gate” which will disallow Exiles. K: Exiles were originally ruled out because when we put them in, It created massive raids of exiles and those Good or Evil players who enjoyed single group pvp could no longer pvp casually. They voted for Exiles and we tried to make a design decision, but the bottom line was we wanted to worry about the immediate feeling of the server as opposed to the long term. My hope is we will have a second TLE PvP server with no exiles. Q. I’ll be the first to admit that I don’t have a much experience with EQ2 PvP, however the strongest feedback I’ve heard has been about all the ways that players now “escape” PvP. So I’m excited that the TLE PvP server will disallow leaping, gliding, and flying mounts, summoned world bells, server-controlled mounts, housing leaderboards, battlegrounds, and other means to escape PvP. What feedback have you heard from players about these and other changes? K: The overall feedback to the pvp changes has been pretty crazy. They seem to be very excited about it. Q. Some of the older Fabled itemization from level 10-50 never got upgraded in the 2011 Mass Reitemization of EQ2. Is there any chance this can be looked at? Should we report these individually with /bug or use the new player-run bug tracking fansite DGCIssueTracker.com? I know this site has been embraced by the DCUO, Landmark, H1Z1, and EQ teams? Is the EQ2 team using this? Is it better than the old /bug which we just had to cross our fingers and hope enough reports made it in? K: We’re hoping for this to become a tool that brings the biggest and most bothersome issues to light quickly. As it is currently we spend a lot of time reading through /bug and it can get overwhelming. A lot of players use it more as feedback, so finding actual bugs can be hard. Our hope is that with this we can get issues added and have players tell us what needs to be fixed and then fix it quickly. Q: Do you have any other changes planned to bring more nostalgia into the TLE servers? K: We’re discussing another Information Set for another TLE-style server, but nothing we can talk about. I would love to see one where everything is trade-able. Q: Now that the TLE servers are launched, what’s next on the horizon? K: Only a few members of the team have been focused on TLE for the past month or so. The rest of the team has been churning away on performance issues, campaign content, features, and preparing for a merge process. The merge process we hope to have ready to go at the end of summer, but it’s grueling work and lots of detail. Then we will look to our holiday content for Nights of the Dead and Frostfell! We’re always looking ahead. Artists are about to start working on art themes for next year. I asked Kander how quickly the team can bring up other servers and he indicated that they already have 4 servers up and ready (Stormhold and Deathtoll being two) that they can set to PvP or PvE and launch very quickly and more as needed. Because all the characters are brand new, they have very small character data files and so things have been quite smooth! Thanks to Kander for taking the time to talk with me about the exciting new-old TLE servers and congratulations to the EQ2 team on what so far has been a very successful launch and smooth gameplay for players on both Deathtoll and Stormhold. Now, if they could bring back some of the old spell Fx, like buff’s auras (wolf, tiger, elephant, bear!) which were gorgeous, that would be the icing on the cake! Feldon, do you think maybe they realize with how popular the TL servers are for both EQ2 and EQ1 that they realize people want harder content the way things used to be? At least for the Everquest franchise? I’m not sure I want “harder” content. I want something with a challenge, and I think I still have that at higher levels. There are many encounters at higher levels that take some thought, teamwork, and skill to accomplish (and all the folks that finished every encounter on the first time will chime in here, but they are not the norm, just the vocal minority). I don’t want tedium, just for the sake of saying it’s harder. It’s not more challenging, it’s just *harder*, and I don’t want that. I don’t want to walk to school with no shoes, in the snow, uphill, both ways. I did log in last night and made a few toons until I found just the right combination 🙂 I don’t know how long I will play on the new server – the Isle was the only thing that got me to make a toon on it. After that, it’s pretty much going to be the same as before, just will have that “new server smell”. In a month or two, that will have worn off. No your right, harder was the wrong word, I guess i meant back when we used to have to make decisions, like picking our class as we leveled, not being hand held through a linear quest-line, actually having choices in the game, meaningful stats, that kind of stuff. Well, you are not getting that now with the TLE servers. It’s pretty much the same exact game we have now with the newbie isle added back in, and certain content locked for a while. But the game mechanics, progression path, hand holding, etc – it’s all still there. I’ve had fun running around newbie isle – but the new server smell is going to wear off quickly, and I don’t see myself playing on the server long term. What is really different though is you pretty much have to group to get through the content.. due to the toughing up of mobs etc.. it is taking some time to kill. typically I play healer and could solo most until top levels. and even then I could do most. Now you hear more “LFG”.. and full groups for blackburrow, stormhold,, etc. Feldon, I’d like to hear your in-depth experience with the isle of refuge since you didn’t start there originally. I know you touched on it in this article, but has it lived up to all the hype over the years? I started on the Isle of Refuge in 2007 and seeing i back on Stormhold did live up to the nostalgia. I never did the boat but that was nicely done as well. My least favorite newbie zone is Halas. Ah, sorry, I thought you meant PC voices. Are there death shards you gotta run back and collect to get your experience back? And shared group-wide death penalties? Yesterday, I decided to make a toon on Deathtoll. I forgot, how much fun it was starting on Isle it’s been a long time. I have played on a pvp server in a very long time. For now, I am enjoying the isle.